Radio Active Block mod adds over 50 different items and the most important thing is radioactive Lucky Block (updates support the latest version of the game). 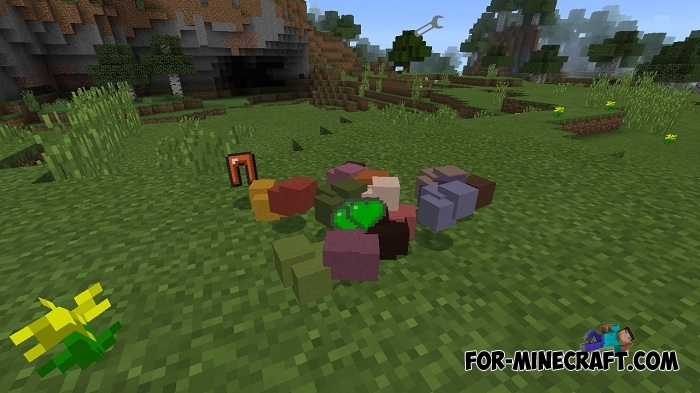 Here you get new sets of armor, weapons with effects, food, mobs and new structures. In addition to all this, the mod contains some unique features about which you can find out below. Support for Minecraft PE 1.2.X - Bedrock. How to find the lucky blocks? 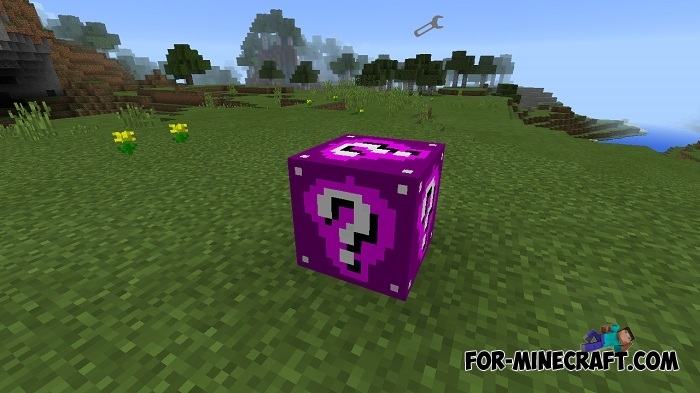 If you play a survival mode then during an ordinary walk you will surely stumble upon a random lucky block. 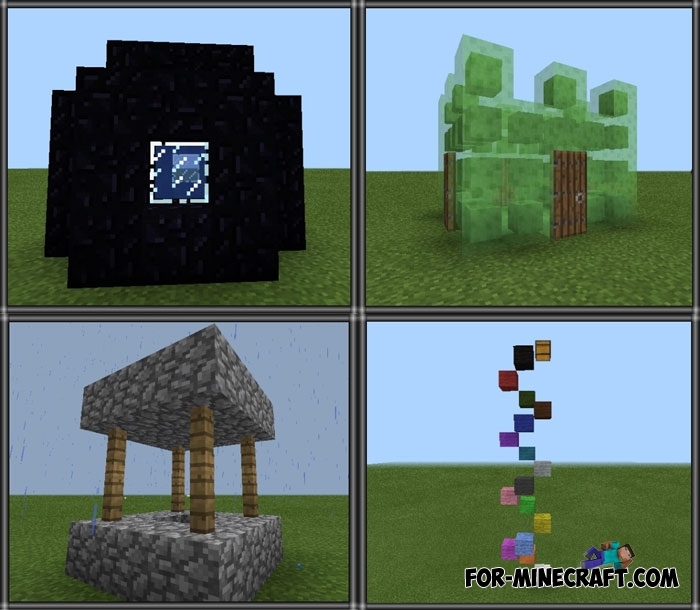 The creator added random generation of these blocks, regardless of anything. Therefore, when you leave the door of your house you will see it in any case. There is a small bug due to which the lucky block can spawn in your buildings. Although this is not a bug for some players, because you do not need to go anywhere. How to use the lucky blocks? After you find just break it. 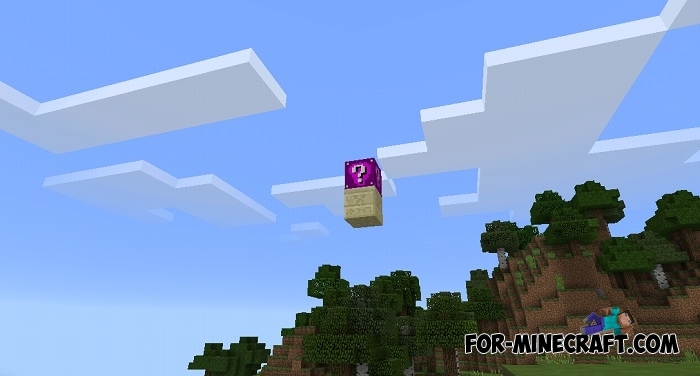 But once the lucky block is destroyed wait for a surprise. 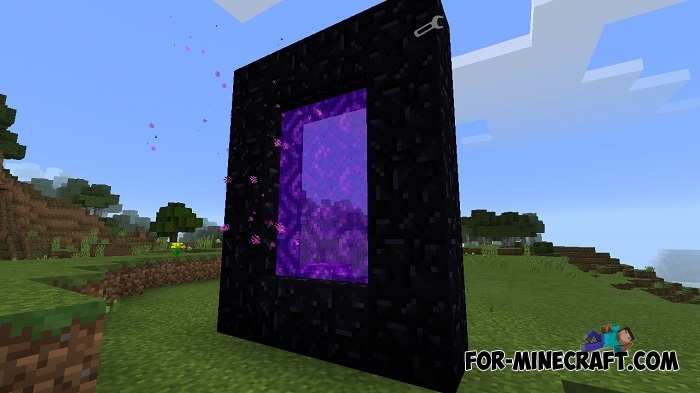 It can spawn a spiral of mobs, explosions, useful items, new swords or absolutely nothing at that moment. During the game I got new structures, a portal, full sets of tools, a sheep changing its color, mega explosions and chests filled with loot. In total, there are more than 60 options that can please or upset you. How to install the RadioActive Lucky Block mod? 2. Install and run BlockLauncher. 3. Use the wrench in the center of the screen to activate the mod.